Sweet Strawberries paired in a perfect medley of tropical fruit draw you in just in time for the shocking burst of citrus lemonade to dance along your taste buds. Whether you are trying to stay cool, or just want to remember those relaxing summer days. Cosmic Fog The Shocker is a must have for vapers worldwide. First of all, Cosmic Fog The Shocker packs a lot of flavors. However, all those flavors are in perfect balance and harmony. Open up the bottle and out comes a hypnotizing smell of sweet ripe strawberries paired with fresh juicy apples and mangos. As you inhale, the fruity whirlwind of flavors with notes of strawberry is incredible. On the exhale, though, when the fruity goodness begins to fade, a burst of citrus and lemonade will make you go wild. 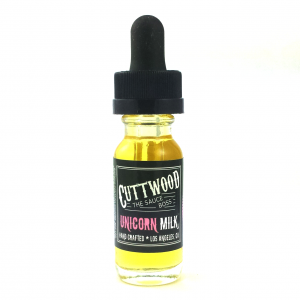 Overall, an excellent choice for fruity vape juice lovers. 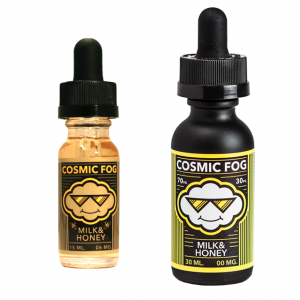 Cosmic Fog The Shocker has a VG/PG ratio of 70/30 so there is a lot of thick, smooth vapor with great flavor.